The new website features a modern interface and is designed with the customer experience in mind. Iowa Mold Tooling Co., Inc. (IMT), an Oshkosh Corporation company, has announced the launch of its newly revamped website. 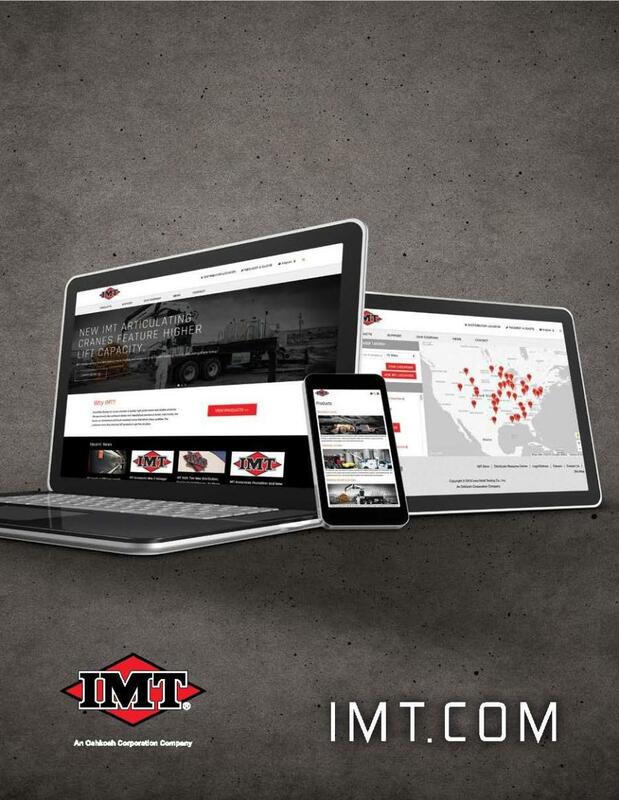 The redeveloped site offers essential product information and features, a comprehensive overview of the history and culture of IMT and dealer access to a new Distributor Resource Center. The new website features a modern interface and is designed with the customer experience in mind. The product descriptions are logically organized and visitors can utilize a product selector tool to determine the best product for their application. By providing initial information such as necessary lifting capacity, users are able to drill down into specific product categories, such as truck-mounted cranes, to discover the product best-suited for their needs. Once users select a product, they can access the technical manual and relevant product literature.